Ottawa — Independent Jewish Voices Canada (IJV) would like to extend its congratulations to the Senate of Ireland, which has passed a bill to ban trade between the Republic of Ireland and illegal Israeli settlements. The Control of Economic Activity (Occupied Territories) Bill makes it illegal for anyone to sell or import goods from an occupied territory. The bill, introduced by Irish senator Frances Black in January of this year, was delayed due to criticism by the Netanyahu government, which criticized it early on, calling the bill “immoral”. Months later, however, it seems that Netanyahu’s influence over the international community may be waning, as the bill is back on the legislative docket. While the bill has been passed by the Irish Senate, there are additional stages it must pass before it becomes law. The legislation has already received endorsement from the conservative Fianna Fáil party, Ireland’s official opposition, which shows that support for it continues to build. A ban on the importation of settlement products is supported by many Canadian organizations including Amnesty International Canada and the United Church of Canada. The EU already has guidelines stipulating that agricultural or food products originating in occupied East Jerusalem, the West Bank and the Golan Heights — all territories occupied by Israel since 1967 — should not be labeled as products of Israel. 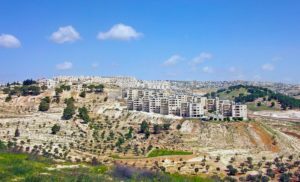 These guidelines have little actual effect on the economies of the illegal settlements, however, as their enforcement has been left up to individual member states of the EU. This issue was a topic of fierce debate at the last convention of Canada’s New Democratic Party, where hundreds of NDP activists from across the country worked to pass a similar resolution, seeking to obtain party support for a ban on Canadian trade with Israel’s illegal settlements. The resolution was narrowly defeated on account of mobilization by party insiders against it, but debate on the subject has continued within the party since the convention. “Unfortunately, the Canadian government and political parties continue to shy away from taking concrete action toward pressuring Israel to remove its illegal settlements,” said Balsam. “In keeping with the government own policy, which opposes Israeli settlements in occupied territory, IJV calls on the Trudeau government to follow Ireland’s lead and institute a similar policy here in Canada. If we are serious about wanting to see peace in Israel-Palestine, it will require steps like this to pressure Israel — the occupying power — to change its ways. The Canadian government has enacted economic sanctions on Russia for occupying Crimea. Why should Israel’s occupation of Palestinian territory be treated any differently?” concluded Balsam.